Celebrate reading at our HALF PRICE Book Fair! The Scholastic HALF PRICE Book Fair will be arriving in school soon, with hundreds of new children’s books to browse and buy, all at half price! WHEN: Friday 27th April – Wednesday 2nd May – Break times. There are over 200 titles for you and your child to choose from, and with prices starting from only £1.49, there’s sure to be a book for everyone. Literally everything on the shelves is half the marked price! 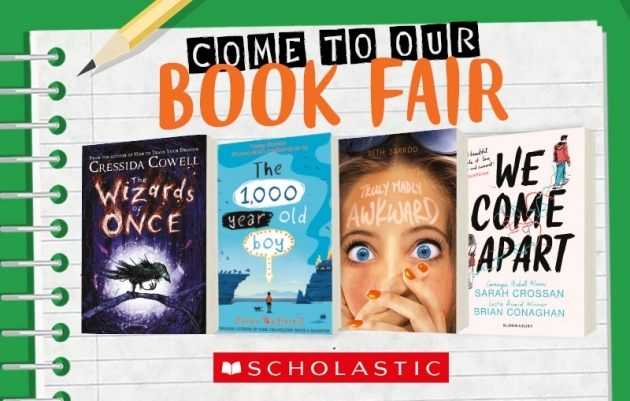 If you can’t make it to our Book Fair, try our discounted Gift Vouchers available at https://bookfairs.scholastic.co.uk/parents. They’re a great way to ensure your child doesn’t miss out.